Hi! I’m Eugene Coghill and I’m glad you stopped by to visit. Welcome to Kingdom Living, a place to imagine life as God intended it to be, and to be introduced to the renewed Kingdom that is in the making. Here we will take a journey into the current world, discuss the challenges, the highs and lows, and everything that influences our spiritual lives. Here very honest and open conversation will take place about the things that make us grow as well as the things that we are not comfortable with. We will also build on the hopes and promises of a renewed earthly Kingdom, that will renew our thinking that God’s original plan was best. Equally as important, we shall explore the proven answers to have our lives transformed back to all that God intended us to be. Eugene Coghill is a professional driver for Walmart. Some side interests are writing and blogging, and a new found passion for road cycling. 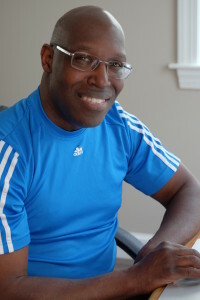 He is the author of a novel Love Is A Fishnet, and currently working on four other books, with his next title Obedient To Love to be released in 2019. He is a member of the prestigious copywriting school, American Writers and Artists Inc. where he is pursuing a freelance copywriting career. His various careers have included the United States Marine Corps and has served as a corporate investigator. He is a member of the Professional Writers Alliance and teaches trucking safety on behalf of Walmart to new driver education students in local high schools. Inspirational speaking to youths is a way of giving back and sharing his own personal life story of overcoming a troubled and challenging childhood and he is eager to engage any audience with his powerful message.